Hyatt has announced that its third hotel under the Hyatt Regency brand in Russia – and first in Moscow – will open its doors by the end of 2017. 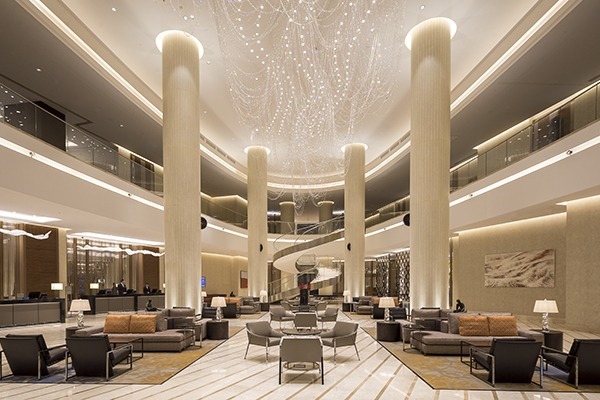 Designed by Ara Design, Hyatt Regency Moscow Petrovsky Park joins the brand’s European capital city portfolio, which also includes Hyatt Regency The Churchill in London and Hyatt Regency Etoile in Paris. Part of the VTB Arena Park project, Hyatt Regency Moscow Petrovsky Park is billed as a hotel for ambitious loyalists, catering for business travellers and tourists alike. Situated a short distance from Central Dynamo Stadium and Petrovsky Park, the 298-key hotel comprises two fine dining restaurants, fitness and spa facilities, a ballroom, private Regency club lounge, and a series of meeting and event rooms. 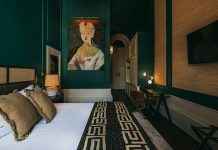 Ara Design’s scheme seeks to reflect the modern spirit of a dynamic metropolis, with guestrooms featuring natural materials alongside contemporary art pieces. The lobby, meanwhile, features a Lasvit chandelier that reflects light from floor-to-ceiling windows looking over Petrovsky Park. 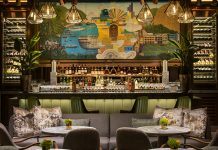 Dining venues include Heritage, a Russian cuisine restaurant headed up by chef Denis Mukhin, and offering a modern twist to traditional recipes gathered from the Black Sea coast to the Far East region. Elsewhere, the 14th floor’s Oriental restaurant and bar invites guests to enjoy cocktails with views over the city. Hyatt Regency Petrovsky Park hotel also features 3,500m² of multi-purpose conference space with modern audio-visual equipment, whilst the 700m² Regency Ballroom can host banquets, gala dinners and large social events. For more contained meetings, 13 smaller spaces with panoramic views can host workshops, classes and dinners. 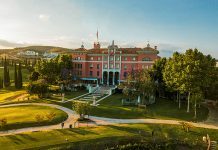 In addition to Hyatt Regency Moscow Petrovsky Park, there are three Hyatt-branded hotels currently open in Russia, including Ararat Park Hyatt Moscow, Hyatt Regency Sochi and Hyatt Regency Ekaterinburg.